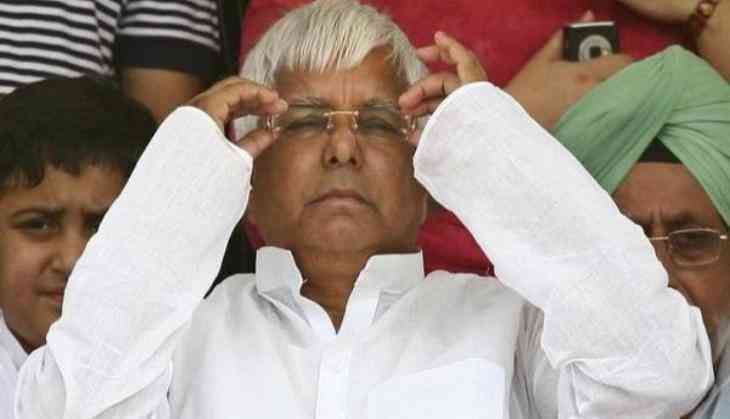 Rashtriya Janata Dal (RJD) chief Lalu Prasad Yadav on Wednesday aimed potshots at Rashtriya Swayamsevak Sangh (RSS) chief Mohan Bhagwat over his name being proposed for the post of President and in a veiled attack said that the latter not only has undemocratic views but also is against the backward class. Lalu said that he won't make any unnecessary compromise in this regard. "Mohan Bhagwat's views on democracy, backward classes, Constitution of India are known to all. We will not make an unnecessary compromise. Soon we will hold another meeting in Delhi in this regard," said Yadav. Earlier in the day BJP's ally Shiv Sena asserted that RSS chief is the ideal candidate for the post of President. Union Ministers Rajnath Singh and M. Venkaiah Naidu will meet Congress president Sonia Gandhi and CPI (M) general secretary Sitaram Yechury on Friday to discuss matters related to next month's presidential election. Both have already spoken to Nationalist Congress Party's Praful Patel and Bahujan Samaj Party's Satish Mishra. The election for the next president of India is to be held on July 17. Recently, Congress president Sonia Gandhi met various leaders from opposition parties to give a tough fight to the ruling National Democratic Alliance (NDA) Government's candidate for the post of President. Earlier this week, Bharatiya Janata Party (BJP) president Amit Shah had formed a three-member committee for consultations with the opposition over likely candidates for President.